Crochet curtain are not so popular. Do you think why? This is good question. Spectacular patterns are not free, second point is the the surface is not flat and even as tablecloth. Well, the solution is to sew many beautiful flowers as in attached pattern. 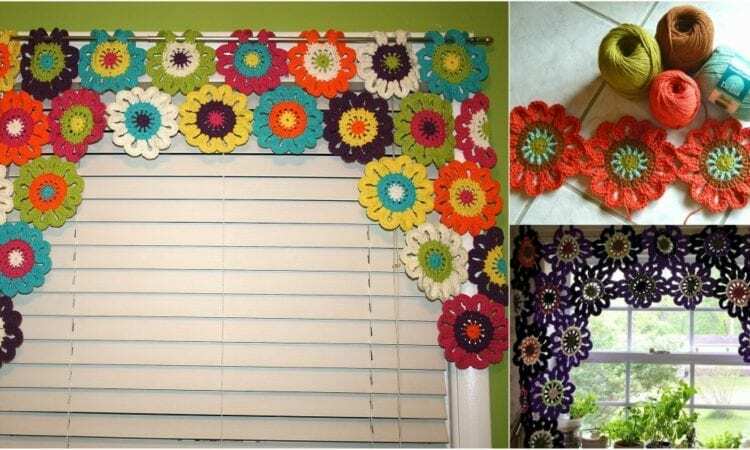 This awesome and amazing flowers curtains you can make in very short time, one day and your windows will be so beautiful. Like US on Facebook – only free crochet patterns!